Could an independent EU army lead to the end of the Cold War? Let us look at some recent history. The US, initially under British pressure on President Truman, decided that it must control what it could of post-war Europe, albeit in a more overtly benign non-Stalinist, but nevertheless CIA-instigated, fashion. Hence the Marshall Plan (an American business plan), the Brussels Treaty Organisation (BTO), the (abortive) European Defence Community (EDC), and the subsequent Western European Union, which served as a politically acceptable bridge to accept Germany as a NATO member. Moscow was again put on the defensive, as in 1812 and 1942. A genuinely independent European army would have been unacceptable to the US: even the EDC would have depended on NATO, as Article 6 of the treaty made clear. NATO was shaken by de Gaulle’s withdrawing France in 1966 from its integrated military structure, but not really stirred, although France continued to annoy the Anglo-Saxons with its balancing policy, and thus a friendlier attitude towards Moscow than most dared to entertain. 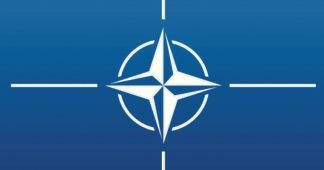 NATO – but essentially the US – became increasingly worried at any tendency of the EU going it alone in its defence policies, not only during the Gaullist era, but later because of French and German opposition to the invasion of Iraq, which remains a badly damaged country. But Merkel and Sarkozy then betrayed Chirac and Schröder. The transmogrification of French and German policies was truly remarkable. 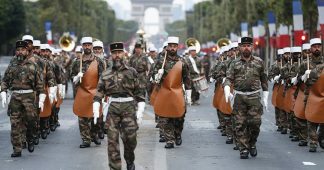 Sarkozy, in particular, overturned the traditional Gaullist policy of independence, actually bringing France back into the integrated military structure of NATO. Since then, the EU has been essentially a strategic Cold War tool of the US, supported in particular byPoland, Latvia, Estonia and Lithuania, and in a more lukewarm fashion by France and Germany. Some half-hearted attempts were made to give the EU a more independent military identity,hence the European Security and Defence Initiative/Policy/Personality (ESDI/P). But this was also subject to NATO, since it would only operate in areas where NATO was not engaged, in other words, with NATO agreement. The manic NATO-sponsored EU-enlargement of 2004, virtually synonymous with NATO enlargement, turned the embryonic and battered European defence identity into a damp squib: first, the West European Armaments Group (set up in 1976) died in 2005. Then the West European Armaments Organisation, set up in 1996, died in 2006, to be followed by the European Defence Agency, that still exists. Then, in 2009, the ESDP was subsumed into the Common Foreign and Defence Policy. All these acronymic gyrations were of course meant to give expression to the Treaty of Maastricht’s (1992) Common Foreign and Security Policy (CFSP). If any of you readers are feeling slightly confused by now, then you have understood: it is indeed a confusing story, characterised by disorganisation and a lack of leadership, which naturally suits the United States military-congressional-industrial complex, whose main aim, some think, is to demonise Russia and Putin, as well as to foster terrorism, in order to emphasise NATO’s primacy over the EU. To add to the lack of leadership, it is important to remember that there is little agreement among the twenty-two countries that belong to both the EU and NATO, Greece, Cyprus and Turkey being prime examples. To further complicate matters, Austria, Finland, Eire, Malta and Sweden are members of the EU, but not of NATO, although the US would dearly love to welcome them in. 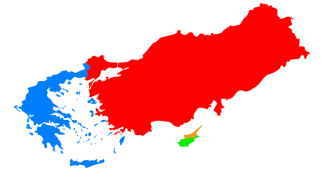 Then we have NATO-member Norway, which is not in the EU, and of course Cyprus, which is in the EU, but not in NATO, although it has to be said that because of the British-occupied parts of Cyprus, the latter’s territory is indeed de facto in NATO. Give the tortuous background of European defence, the EU’s High Representative for Foreign Affairs and Security Policy, Mogherini’s, seemingly brave recent PR statement proposing a Brussels-based headquarters for European ‘battle groups’ needs to be taken with a pinch of salt, especially since it would not be a supranational organisation, and would in any case overlap with NATO: yet another acronym in the long line of defence-related European bodies (and I have not mentioned them all!) that end up biting the dust or altering their names. It is time to make a perhaps obvious point: as the Ukraine experience has shown, and is showing, the US is paranoid about a Russia-friendly EU, since that might lead not only to the end of NATO as we know it, but even to a genuinely European supranational force in a few years’ time that is friendly towards Russia, and that will promote European defence industries, to the obvious detriment of US shareholders in arms companies. 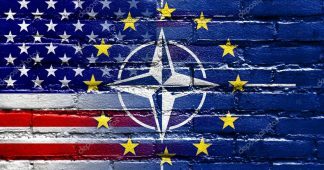 The US is nevertheless quite happy to encourage and sponsor EU defence initiatives, but only as long as they are directed against Russia and controlled by Washington in one form or another, as history demonstrates. 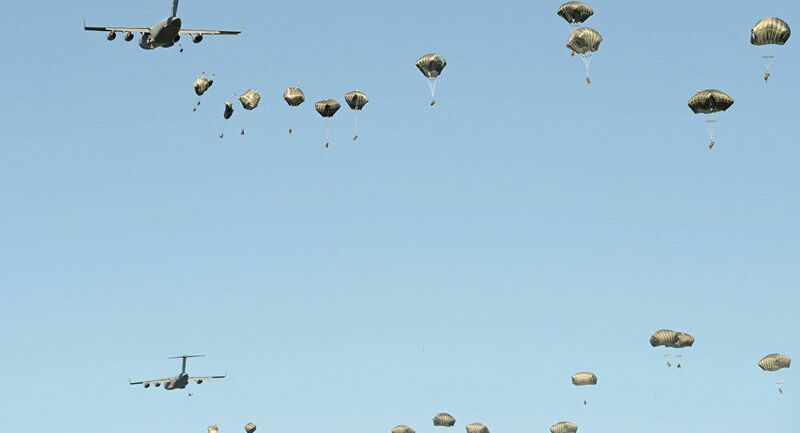 The possibility of twenty-eight EU members actually agreeing to a supranational army is a pipe dream, since Poland and the Baltic statelets, at the very least, would never agree to sever military links with the US. Then Britain, which would also never sever its military links with the US, might not even be part of the EU, once the CFSP actually tried to become concrete. Whatever the scenario, Britain, whether in or out of the EU, can always be guaranteed to fight tooth and nail, together with its strategic master, the US, against a supranational European army. This leads however to the interestingpossibility of a two-tier Europe, at least in defence, led by the Franco-Germans: an inner core with its own defence and spending, probably friendly towards Moscow, with its own European standardised weapons, to the chagrin of US shareholders; and an outer core of US-friendly and Russiaphobe states. We should be reminded here that the first thing that Poland did on entering the EU was to purchase 4 billion dollars’ worth of US military aircraft, infuriating European manufacturers. With a strong Russia and a strong EU army independent of NATO, it would only be a matter of time before Poland and the Baltic states accepted reality, and joined the EU army. The alternative to EU military independence is an EU that continues to obey US diktats, with the concomitantthreat to world stability and an arms race. Here, we can recall how France succumbed to US pressure, breaking its contract with Russia to deliver two helicopter carriers, when they had been built and were about to be delivered. This obviously connects to US pressure on Germany to destroy the North stream gas pipeline. Recent developments suggest that France and Germany are both worried about US/NATO muscle-flexing: they were recently reported by Bloomberg to have dismissed as ‘provocative’Washington’s pressure on them to perform naval drills near the Kerch Strait. Perhaps we are seeing a slow return to some sort of sanity. The independent attitude of the Italian government is also one encouraging sign. At any event, only history exists: it was William Pitt the Younger who, arguably, began the Cold War by criticising Russia in 1791 for wishing to dismember the Ottoman Empire. The hysterical anti-Russian mentality is still with us today. It was always more anti-Russian than anti-Communist, the latter being an excuse to feed to the masses, in order to disguise hard-nosed business interests. 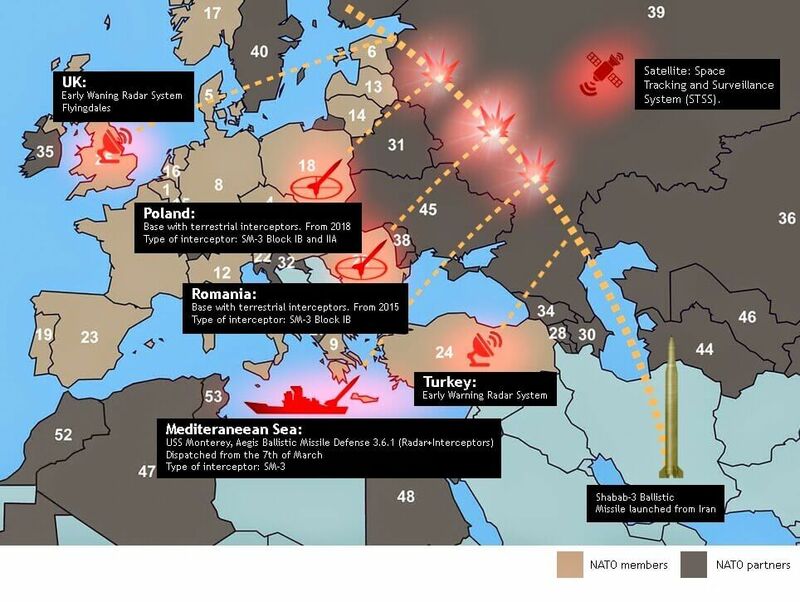 Once our alleged EU leaders are prepared to admit that modern Russia has never been intent on conquest, let alone on invading its European neighbours (unless attacked), we may see a return to sanity and the end of NATO, which was already beyond its shelf-life in 1999 when, instead of disbanding, it enlarged and, in a proxy war (with Russia the real target) unilaterally bombed a European country for seventy eight days. An EU army independent of NATO would lead to more stability. Moscow would support it.